This week amidst working on marketing for my businesses, photos shoots, dodging most of the political banter on social networking, reading The Happiness Project and rereading Bossy Pants (this time for my book club) I have become a tad obsessed with “neatness” blogs. In fact I have spent so much time reading about ways to organize my makeup, closets, kitchen towels and so on that I almost missed the latest controversy over Minnie Mouse…. Yes, can you believe that we actually have a controversy over a Disney character? 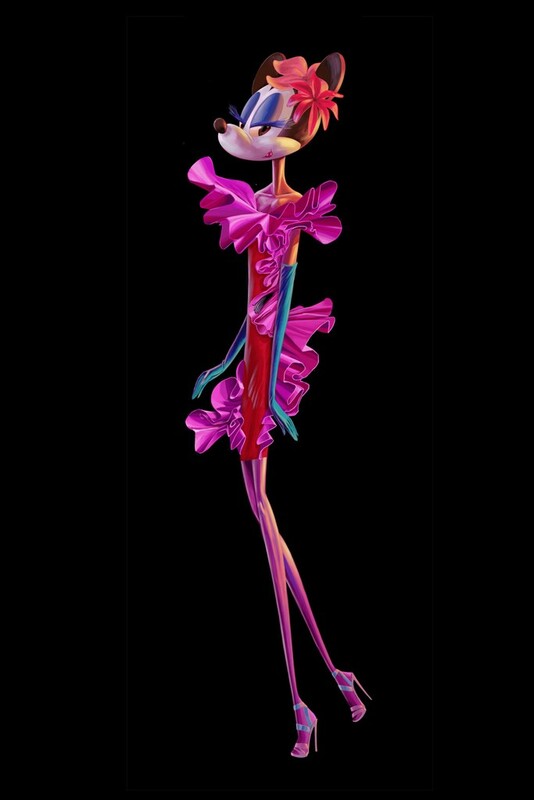 Last week WWD reported that for its upcoming holiday windows, Barneys New York is collaborating with The Walt Disney Company on “Electric Holiday,” one element of which is a short animated film. The ruse: Minnie Mouse’s fantasy of walking the Paris runways with some BFFs. As reported, Minnie will wear ruffled Lanvin; Daisy, racy lace Dolce & Gabbana, and Goofy, military-inspired Balmain. The caveat – Minnie will be looking more like your favorite Supermodel than the petite sidekick of our favorite Disney guy Mickey. And therein lies the controversy… comments on wwd.com and Disneyland.com lit up once people got wind of the “modelifying of Minnie” Majority of the outrage centers on two things … a the “desecration of a beloved icon” and b once again is the fashion industry reinforcing a certain body image? WWD wrote: Retail windows are entertainment, with Barneys’ famed holiday windows at the top of the list. (Not to swing too un-PC, but they’re Christmas windows to me.) More often than not, entertainment depends upon exaggeration. Many of us may see our own families in “Modern Family,” but are our first-degree relatives all a quip a minute? Is New York City as riddled with violent crime as 20-plus years of three Law & Orders suggest? No and no. For that matter, don’t you think that, from Guidettes to Housewives, even reality stars ramp it up for the cameras? 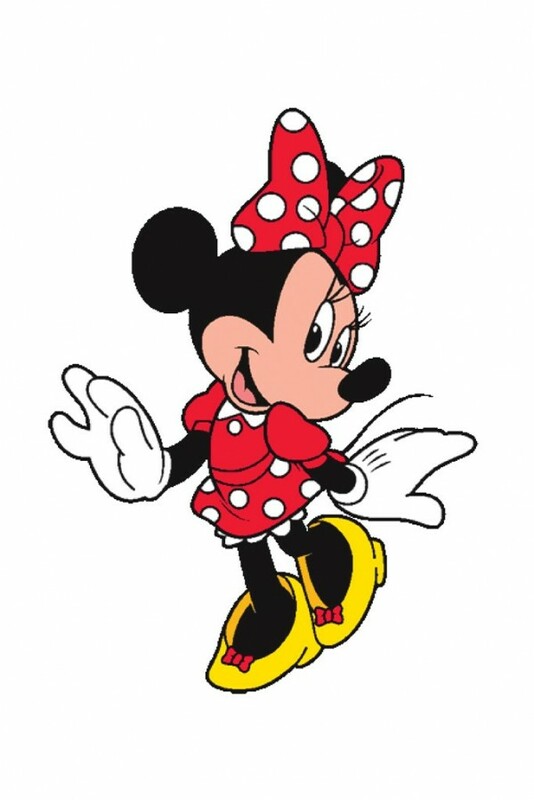 Minnie’s redrawn body is an exaggeration of the standard runway-model physique because exaggeration makes it amusing. WWD also wrote: The angry reaction again puts fashion in the role as villain, here conspiring with big business to impose impossible standards on impressionable, apparently fragile girls. (A tad insulting, no?) The notion would stretch credulity even if children were the primary targets; Minnie fantasizes about going to Paris, not Behind the Green Door. Parents fearful their little ones might be damaged by glimpsing her fashion film in the store window can always cross the street. What are your thoughts about Minnie and gang being altered for Barneys short film? Worst Oscar dresses and other offenses!